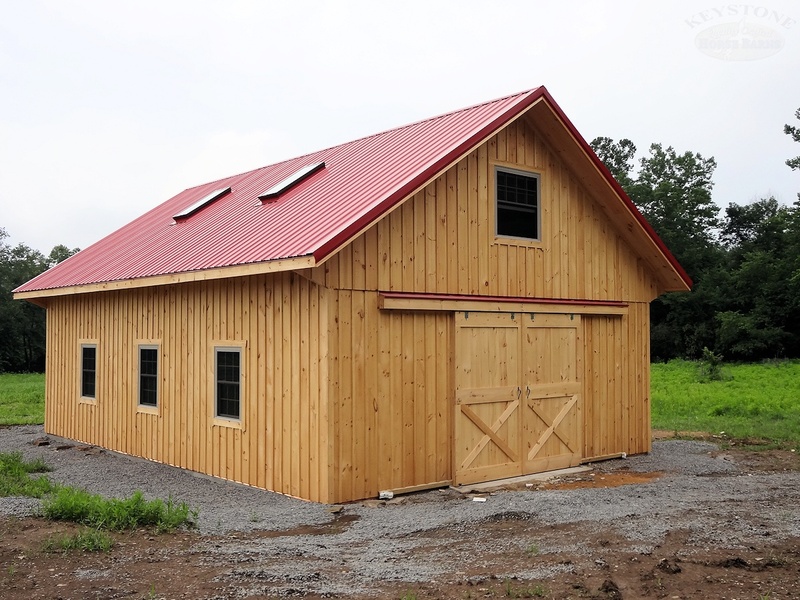 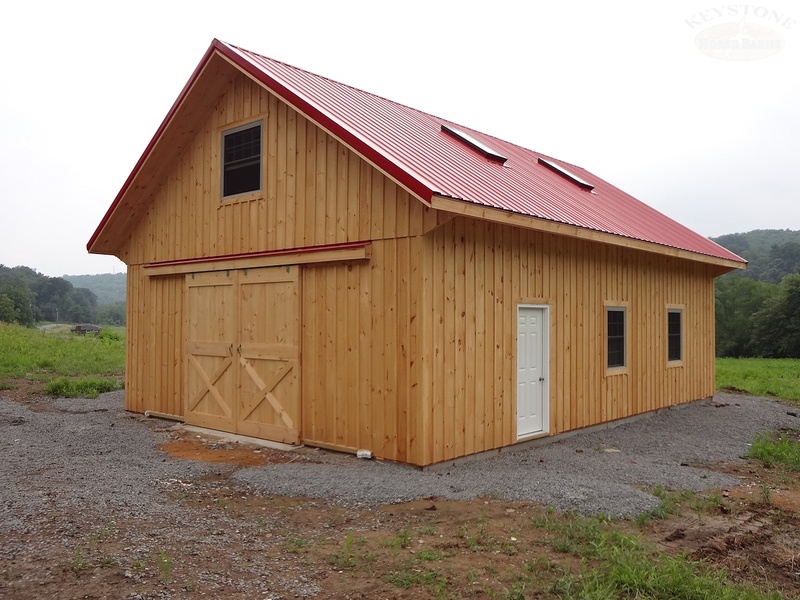 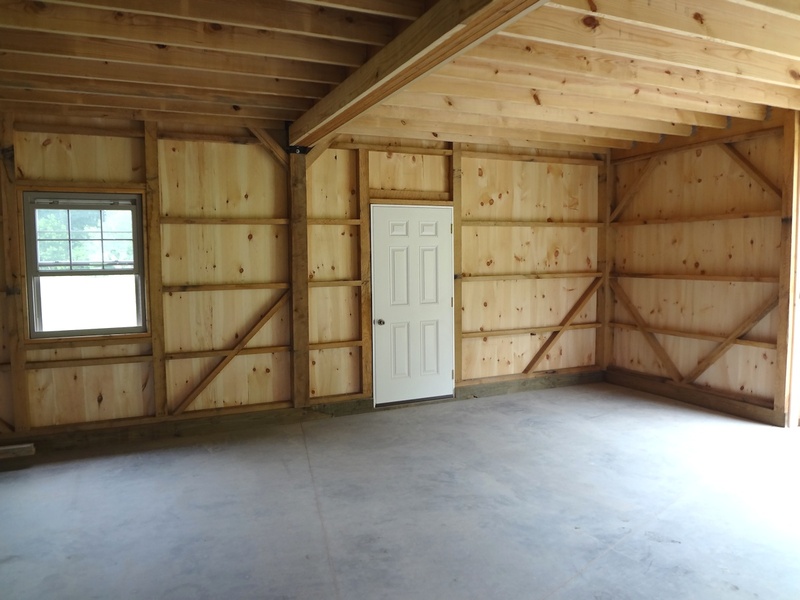 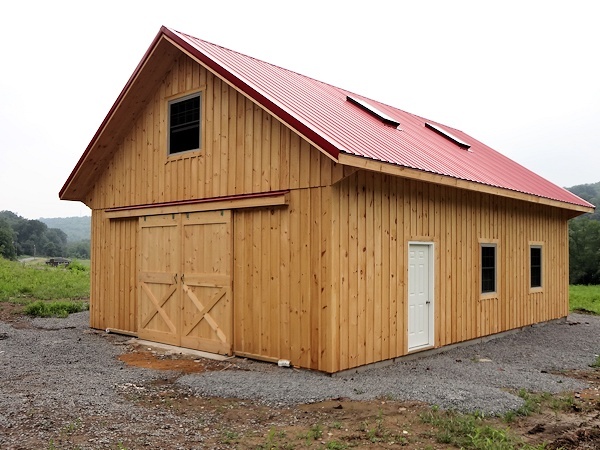 This barn was built with Rough-Cut Oak wall frame on top of concrete foundation/slab. 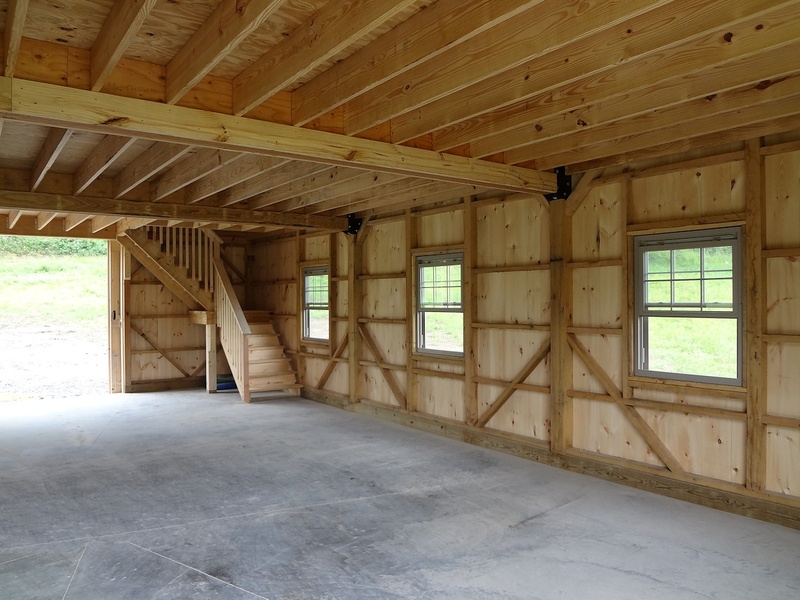 Floor joists were hung between LVL beams and walls using ledger boards and joist hangers. 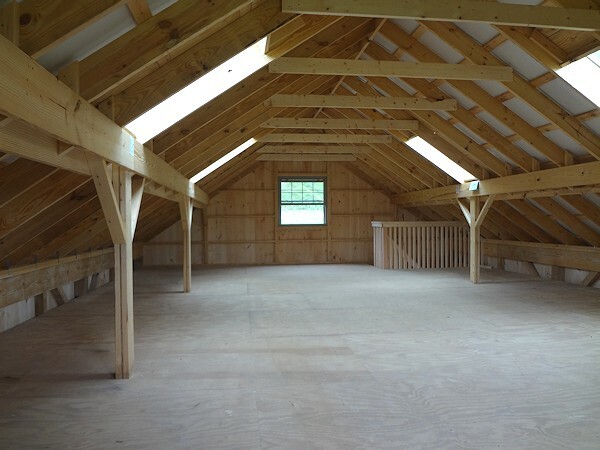 Loft has 24" knee-wall to provide extra headroom inside of loft. 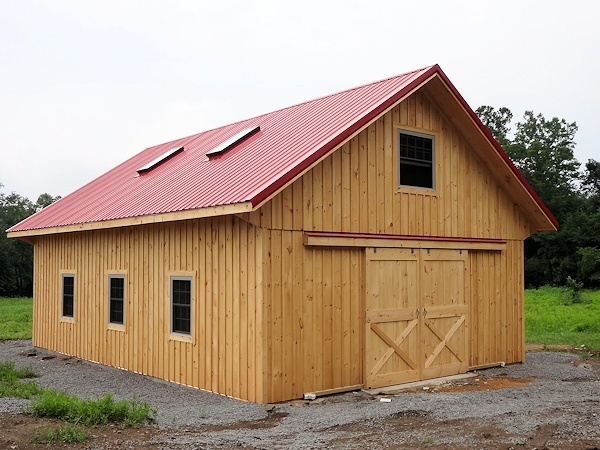 Roof 2x8 rafters on this barn are spaced 24" o.c. 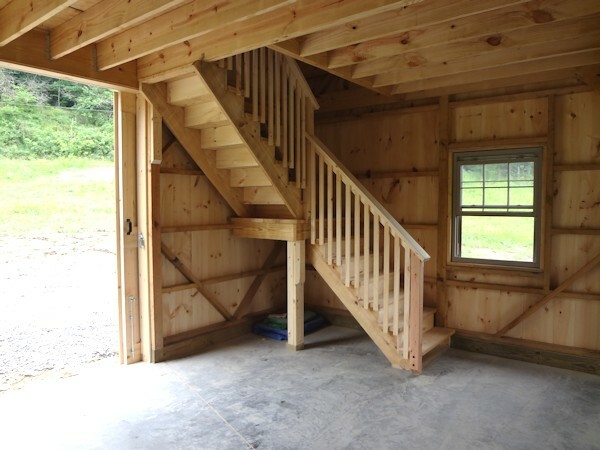 and supported by double 2x12 knee-wall headers. Loft supporting clear-span beams are held in place by specially designed steel brackets.